There are flutterings of a small movement taking wing in Alaska to change the state bird from willow ptarmigan to raven. 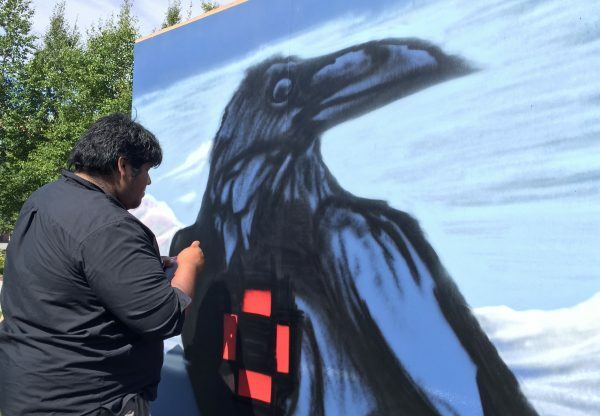 Supporters say the raven is a better fit to represent Alaskans. Among positive attributes they cite are the raven’s adaptability, intelligence and statewide presence. The Anchorage Daily News editorial board, in a recent staff opinion piece, voiced support for legislation that would make the raven Alaska’s state bird. And a group of three Fairbanksans — comprised of a lawyer, a boat store owner and a radio personality — have even shopped the idea around to legislators. The Anchorage Daily News five-member editorial board met to discuss the idea and published an editorial on Sunday. They, too, say they are serious. Neither Satterberg or the ADN suggested lawmakers spend a lot of time on the matter, and neither say state money should be spent on a voter referendum. The ADN editorial noted that the willow ptarmigan was picked in a survey of school children in 1955, before statehood, and later codified into state law. The editorial quoted territorial Gov. B. Frank Heintzleman saying that the ptarmigan’s qualities included not flying South for the winter. “The willow ptarmigan’s a good bird, but it was essentially selected for not any great particular reason,” said Anchorage Daily News Opinion Page Editor Tom Hewitt. Sure, Hewitt said, there’s value in tradition. But he said the raven makes more sense for a state bird. “It’s always easier to stay the same but I think that the raven is far more reflective, of character traits that Alaskans value, you know, ingenuity, adaptability, survivability in extreme cold, and really, really high intelligence,” Hewitt said. Hewitt said there has been some criticism of the idea, though most online commenters were in favor. But some have said the raven’s place as a powerful part of Alaska Native culture — considered creator of the world by some — should be preserved as such, not made to represent the state. And Hewitt said that’s definitely something the Native community should weigh in on. Others have wondered if legislators should really be spending their time making the change. Satterberg, the Fairbanks attorney, agreed. Satterberg said he’s approached several legislators about changing the state bird. As of Wednesday — only day two of the legislative session — there had not been any bills filed to do so.